Magid & Williams, P.A. was founded in 2005 in Jacksonville, Florida. 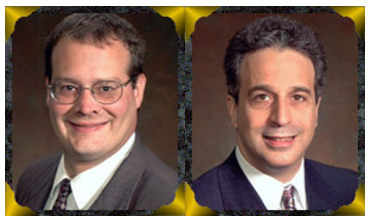 Len Magid and Dan Williams have over 40 years combined legal experience, and both lawyers are Board Certified by the Florida Bar as Specialists in Labor and Employment Law. (There are over 90,000 Florida lawyers, but only 190 have achieved this distinction). 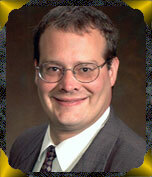 The firm focuses its practice on labor and employment law, representing primarily employees. The firm represents clients in cases involving sexual harassment and discrimination on the basis of gender, pregnancy, age, race, national origin, disability, religion, etc. The firm also represents employees in cases involving family and medical leave, unpaid wages and overtime claims, convenants not to compete, employment contracts, whistle-blower retaliation, workers compensation retaliation, and all other aspects of labor and employment law. The law firm of Magid & Williams received an “AV” peer rating in the Martindale Hubbell Law Directory. This is the highest possible rating. Both individual lawyers also attained the highest “AV” rating. Mr. Magid and Mr. Williams give personal attention to each client in advising them and aggressively advocating for their interests. Please contact our firm to schedule a confidential consultation to fully discuss your employment law issues. There are many complexities in employment law that cannot be exhaustively covered on a website. If you believe that you may have an employment related claim, our lawyers want to meet with you in person and fully explore the factual details and circumstances of your specific matter. The lawyer will advise you about how best to proceed and may represent you if there is a valid claim. Mr. Magid and Mr. Williams have represented many clients in state and federal court, in administrative hearings, mediations and negotiations, and before the Equal Employment Opportunity Commission. Our office is conveniently located in Jacksonville, one traffic light from the intersection of University Boulevard South and Beach Boulevard (close to Memorial Hospital). We are on the first floor of a three-story white office building next to the Piccadilly Cafeteria and have free convenient parking. Magid & Williams strives to protect the rights of workers in Florida by focusing its practice on the complexities of the state’s labor and employment laws. The firm handles cases near the Georgia border and throughout Jacksonville, Daytona, Tallahassee and every county in between.